Give the Gift of Kleen! Are you looking for a creative gift idea? It can be difficult to find just the right gift for birthdays or holiday presents. Well, look no further! Kleen Mist Car Wash gift cards (Wash Cards), coupon books, and Kleen Pass cards are excellent gift ideas for your special someone! Gift Cards can be purchased in the denomination of your choice. Simply visit our Wash Card page and make your selection. Wash Cards are a favorite for business associates, employees, friends, and family members. Everyone loves a clean vehicle! 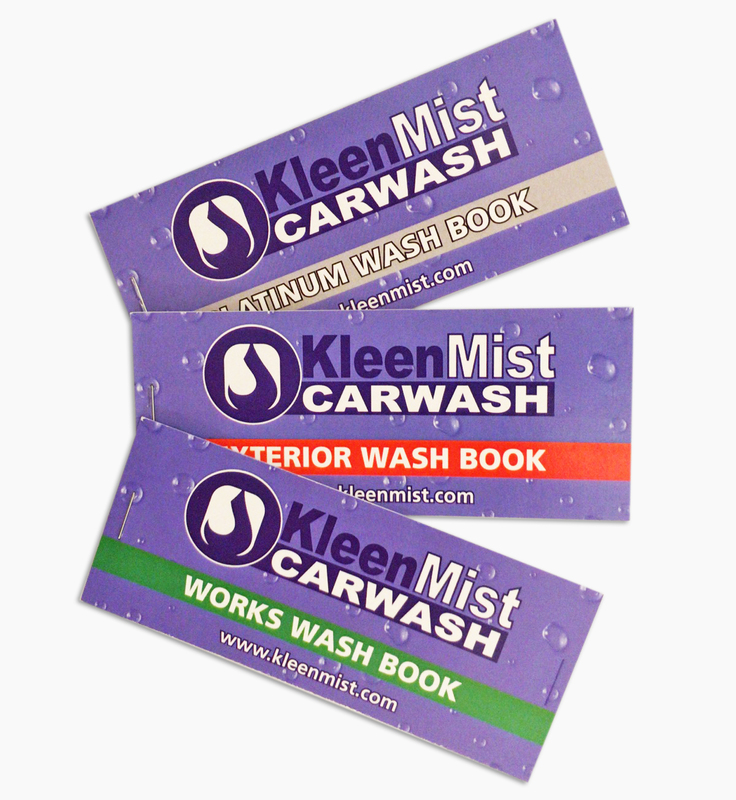 Kleen Mist Coupon Books can also be purchased for three of our most popular wash packages: Platinum Wash, Exterior Wash, and Works Wash. Each book contains three coupons. Offered at a reduced rate, these booklets will save on each car wash, compared to regular prices! Learn more about our Car Wash Packages. A Kleen Pass is also an excellent gift idea! The Kleen Pass can be purchased monthly with an automatic renewal each month or it can be purchased in three, six, or 12-month packages without an automatic renewal. Learn more about our Kleen Pass.